Been doing some work lately on developing our bridal and occasion portfolio. 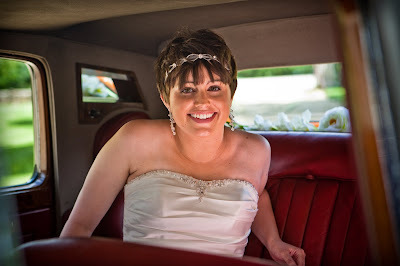 We do some excellent hair and makeup work for weddings, proms and special occasions. Its been really nice this week to receive some great feedback and lovely emails from the brides, its even nicer when they then become regular clients and we get to hear all about their married lives. Heres a picture of one of our brides this year, we did her makeup, the mums and her bridesmaids! I thought it was a specially beautiful photo. Best wishes for the future Amy! Lushest of Autumnal nail colours! OMG indeed!!! 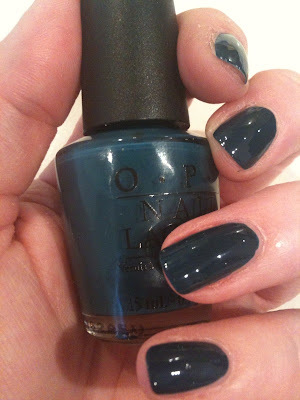 OPI have some wonderful colours at the moment! I am loving the Ski Teal We drop, its a lovely bluey green, very rich, deep and flattering on any skin tone. Heres a piccie to prove it! Theres also a fabulous silver which I would go so far as to say its a great mimmick of Minx nails and theres a lovely taupe, pink, grey, gold and purple. They are so nice, I dont mind if my nails chip as its an excuse to try another colour! Busy getting ready for Professional Beauty Manchester in 10 days time. Im running a Masterclass session and need to get on and prepare my slides! I wonder how many people will attend!! eeek!